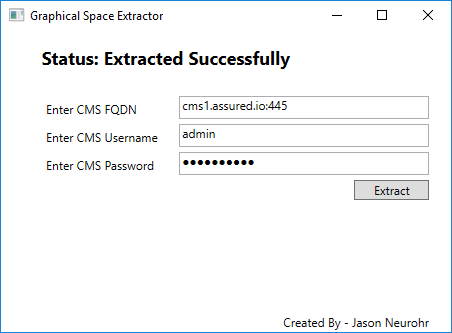 The Graphical Space Extrator is a small utility for connecting to a Cisco Meeting Server via API and extracting the configured CoSpace's and there associated AccessMethods into a CSV file for review. The Graphical Space Extractor can be installed from here. 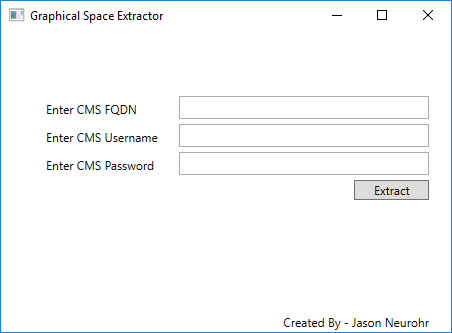 To use the Graphical Space Extractor, run the executable. Enter the Cisco Meeting Server API details. 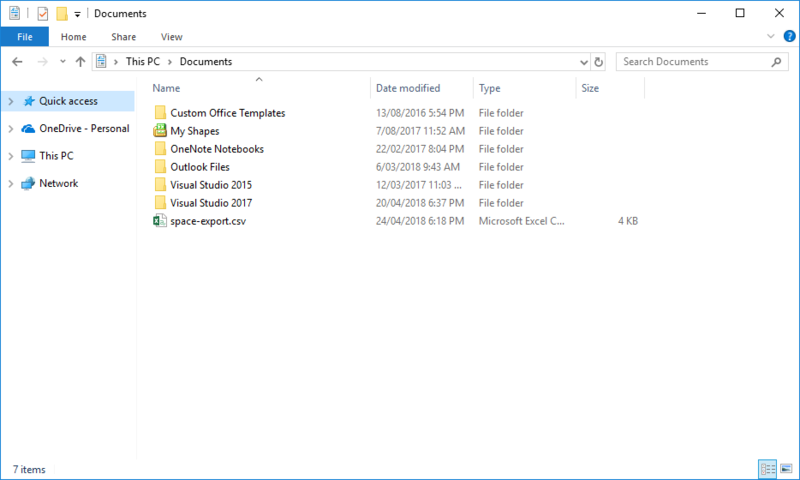 Click Extract and choose a location to save the CSV file. If the result is successful you will see the below screen. 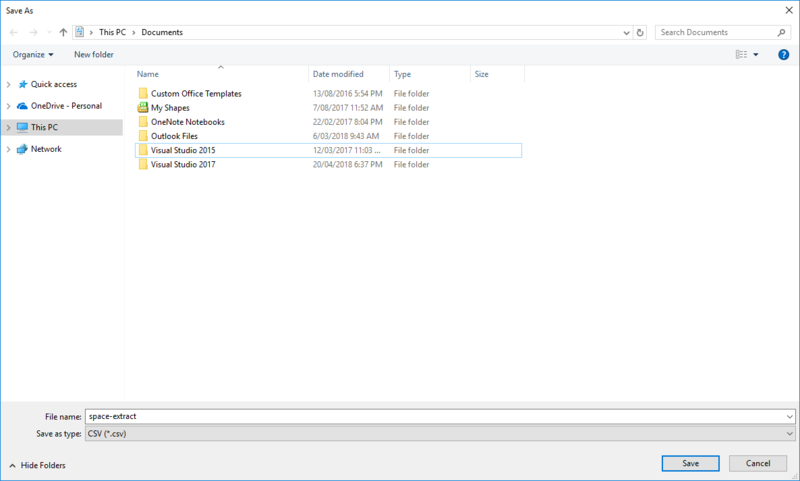 Locate the CSV file from the location chosen earlier. 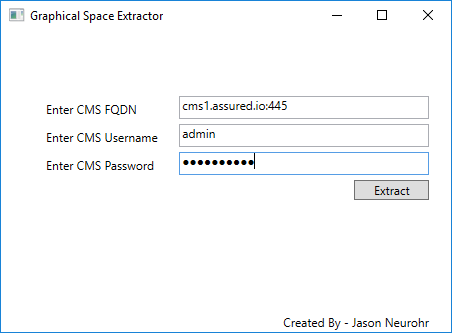 Profit from your freshly exported Cisco Meeting Server CoSpace configuration.